People who eat just moderate amounts of red and processed meat are still at risk of bowel cancer, according to a new study. Scientists found that colorectal cancer risk rose 20 per cent with every 25 grams of processed meat people ate per day, equivalent to a strip of bacon or slice of ham. Those who ate around 76 grams of red and processed meat a day still had a 20 per cent higher chance of developing bowel cancer than those who only ate about 21 grams a day, the study found. Risk increased 19 per cent with every 50 grams of red meat, such as a thick slice of roast beef or a lamb chop. “Our results strongly suggest that people who eat red and processed meat four or more times a week have a higher risk of developing bowel cancer than those who eat red and processed meat less than twice a week,” Tim Key, who co-authored the study and is deputy director at the University of Oxford’s cancer epidemiology unit, said in a press release. Researchers analyzed data from almost half a million British people, aged 40 to 69 when the research began. They found 2,609 people developed bowel cancer over the six years of their study. The report was led by Oxford University and funded by charity Cancer Research UK. “The government guidelines on red and processed meat are general health advice and this study is a reminder that the more you can cut down beyond this, the more you can lower your chances of developing bowel cancer,” Dr. Julie Sharp, Cancer Research UK’s head of health information, said in the press release. The Canadian Food Guide cites two separate 2018 reports on processed meat to support its gudelines. 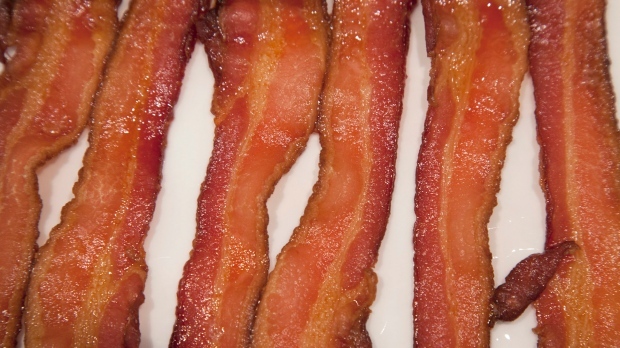 The first, from the International Agency for Research on Cancer, found an association between increased intake of processed meat and increased risk of cancer. The second, by the World Cancer Research Fund International and the American Institute for Cancer Research, echoed the British study.